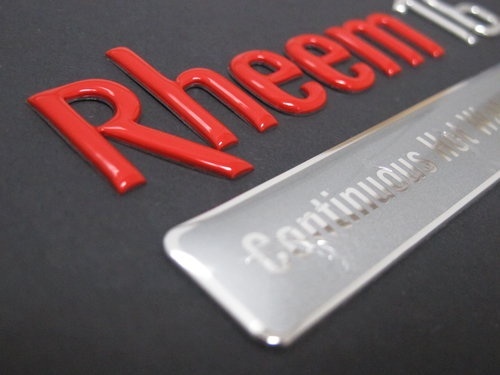 There is a lot to think about before deciding on a nameplate or label, as this can affect the durability and effectiveness of your nameplate or label. Nameplates and labels are the best and longest lasting representation of your brand, so it is important to design a nameplate or label that is long lasting and reflects the quality of your brand. There are 4 key features to think about when designing your products nameplate or label. Firstly, the conditions that the nameplate will be used in are vital to the design. Knowing where the nameplate will be used will affect what type of material and finishes are used. You need to know whether it will need to be resistant to dust, rain or water, any potential harmful chemicals, extreme or changing temperatures as well as abrasion. All of these can wear down your nameplate or label, making it impossible to identify or read important information. Most people think about solely the design of the label or nameplate but forget to acknowledge this and then their product is unrecognisable within a year or so. That’s why this is the first thing that needs to be thought about. The expected life of the nameplate or label should also be taken into consideration at this stage. Your nameplate or label should be expected to last as long as the product that it will be placed on. If it is a single use product, then a basic nameplate or label may be effective, but for anything that is intended to last, the nameplate or label should be of a higher quality. Next, you should think about the information that will be going on the nameplate or label. In many cases, there will be industry specific regulations and warnings such as ISO standards that are required to be placed on a nameplate or label. This changes on the type of product you are wanting the label for, and for some products, the amount of required information can be quite extensive. It is important that you know exactly what is required on your product so that the nameplate or label can comply with all regulations. It is also important to think about the content on the nameplate or label will be permanent or given the ability to be written on and then wiped off. 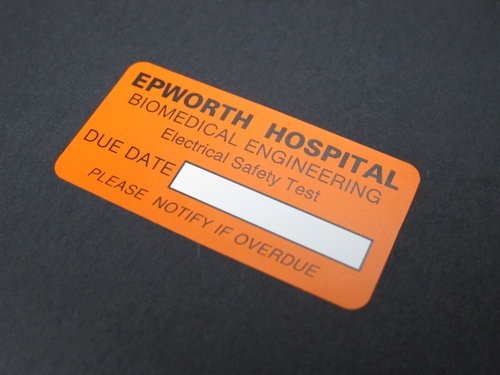 Some industries require their nameplate to be filled in with specific information that then needs to be updated, for example, a date that the next electrical test should occur or a service by date. Finally, you should think about the physical aspects of your nameplate or label. Often this will change after you have thought about both the environment and the content that needs to be on the nameplate or label. For example, you may have been fixated on a specific sized label or nameplate, and then realised that it is not realistic to fit all the required content on that size. Aspects that need to be considered for your label or nameplate are the size, how thick it will be, the material that it is made from and how it will be attached to the product. The way that the nameplate or label is attached may also depend on its environment and how long it is expected to last. 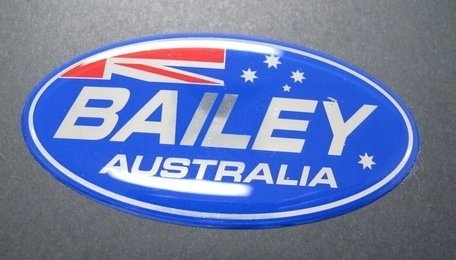 Have you ever noticed how the branding on a car often outlasts the car itself? The paint is rusted, and it hardly works anymore, but you can still tell which brand and make it is. This is because often the best opportunity to show off your brand is on the product itself. Outdoor furniture is the same. After ten years of weather and damage, people may think it is time for a new set and if your branding is still prominent on the old set that served them so well, they will think of your brand in a buying situation. You can create this every time you design a nameplate or label so why would you not take it? Make sure that your brand stands out on a nameplate or label that was built to last. As the nameplate or label you choose will be a long-lasting impression of your brand, it is important to design it to make your brand pop. 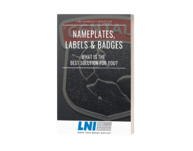 If you are unsure of where to begin or need clarification on any of these steps, talk to an expert in the nameplate and labelling industry, as they will be able to help you find the perfect nameplate or label solution for your product.